Elastic straps attach with hook and loop at any point. XS 30" - 40 " 9"-10.5"
S 34" - 40" 11"-13"
XL 46" - 51" 15"-17"
I'd recommend the DonJoy Shoulder Stabilizer (https://www.betterbraces.com.au/donjoy-shoulder-stabilizer), as it will provide more support and protection. 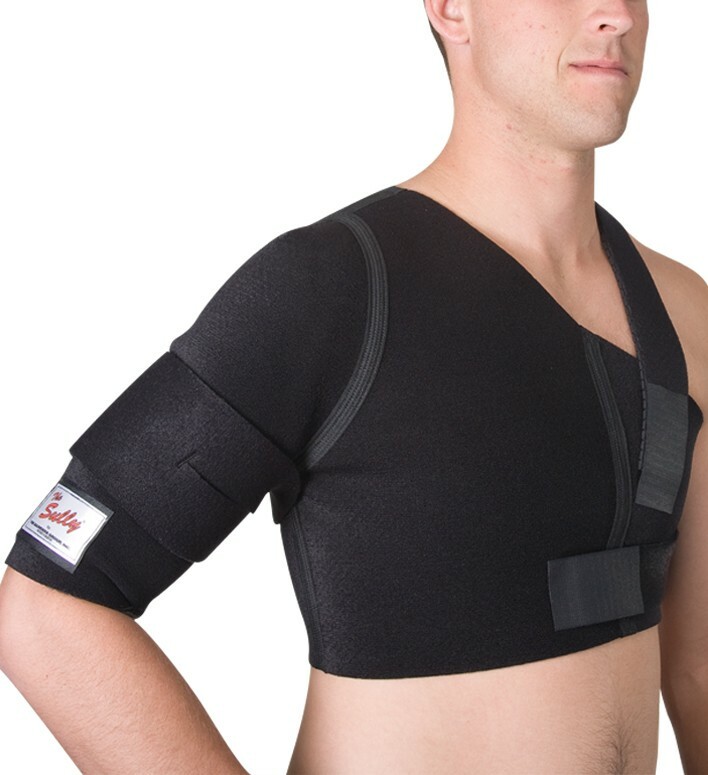 You may even be able to use the DonJoy Shoulder Stabilizer Shoulder Pad Attachment (SPA) (https://www.betterbraces.com.au/donjoy-shoulder-pad-attachment) to attach the Stabilizer to your son's pads. Thanks for visiting us at betterbraces.com.au with your questions!